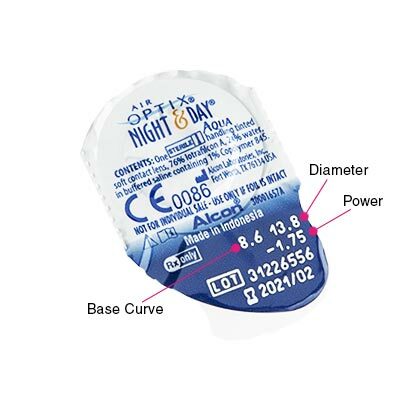 Air Optix Night & Day Aqua (6 Pack) extended wear contact lenses are to be worn for up to 30 nights of continuous wear, and are available in this 6-pack edition by manufacturers Alcon & Ciba Vision for even greater value for money. You can rely on exceptional clear vision and all-day comfort with Air Optix Night & Day Aqua (6 Pack) contact lenses due to their TriComfort technology. The silicone hydrogel material of the contact lens is protein-resistant and offers a smooth lens surface, for an outstanding level of hygiene and hydration to last the entire month. 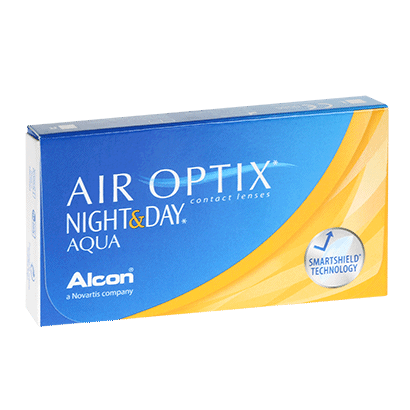 Air Optix Night & Day Aqua (6 Pack) contacts are highly breathable as they offer excellent oxygen transmission. They’ve been made with a silicone hydrogel material that allows oxygen to flow freely to the eyes. 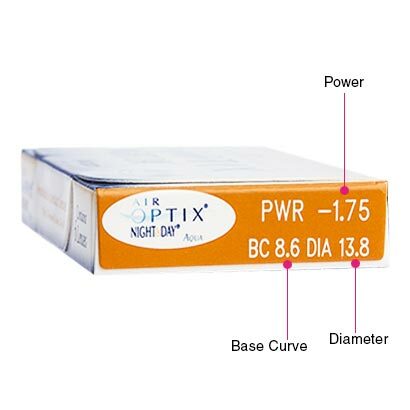 These are an ideal choice for wearers with busy lifestyles and for reducing the risk of dry eyes. With the recommendation of your optician, these extended wear lenses can be worn continuously for up to 30 days as extended wear. For any questions please don’t hesitate to contact us. Biofinity contact lenses are similar lenses, however please speak with your optician regarding wearing these as extended wear lenses. Air Optix Aqua are also a suitable alternative, however are not extended wear lenses.